Whether we are in a red-hot sellers market as in the recent past or the sales doldrums as now, houses are sold AS-IS. What exactly does this mean to a buyer, seller and real estate sales people? Is AS-IS just a seller purely not interested in good faith negotiating with a prospective buyer and trying to get the most for the house regardless of its shortcomings? Is AS-IS an attempt to sell the house for market value even though it has serious defects? Is AS-IS just the fact the seller has no knowledge of the house as they have not lived there in many years in the case of children of the seller, or because they inherited the house? The true cost of the house for a purchaser is what is paid to the seller plus the costs of repairing the defective systems and components. It is obviously good to know this information up front, before closing. Irresponsible lending practices of the past caused by the government inspired push has created the housing crisis we face today. The American dream was to be enjoyed whether one could afford it or not. Unfortunately duped, many of these people now have lost or will lose their house. It is even more important today to know what is you are purchasing; basically knowing what AS-IS, IS. Too many people fell into the trap in the past of not caring what the condition of the house was because it would be worth more next month or, If I do not buy this house, the next person in line will. The pressure by the sales people did not help. This feeding frenzy coupled with the poor business decision-making process created these big problems for the new homeowners. They moved in to their new houses. The dust settled and everyone taking the buyers money was gone. In many cases, not only did the buyers pay too much for their house, they did not negotiate the defects found as a result of the home inspection, or could not negotiate the defects because of the market forces including the AS-IS provision, or they obtained a shoddy inspection from a stakeholders referral (a stakeholder is one who will profit from or has an interest in the sale) and had nothing to negotiate. Now, the undisclosed defects by any of these stakeholders- the sellers, home inspectors and real estate sales people, reared their ugly heads- leaking roofs that cost $10,000, bad boilers that need to be replaced for $8500, unsafe chimneys and electrical systems or extensive termite damage. Buyers have in the past and are once again seeking rescission of the sales contract from the courts because they felt they had overpaid, or wanted a way out of their large monthly mortgage payment. This has occurred to first time home buyers and seasoned move-up homeowners. Many people fail to understand what the term AS-IS means. Some realty sales agents believe that once the AS-IS terminology is inserted into the listing, the seller and agents are relieved of the burden of disclosing defects. However, this is not true. Known defects, whether patent/obvious or latent must still be disclosed by the seller and the sales agents. To understand the difference between these defects, a patent defect is a one that could be recognized upon reasonable careful inspection or through ordinary diligence. A latent defect is a defect hidden from knowledge and sight; one that would not be discovered even by the exercise of ordinary and reasonable care. A concealed defect is just that, one known to the seller, covered up and carefully hidden from view. An AS-IS provision neither precludes legal responsibility on the part of the seller to disclose patent or latent defects nor provides protection from future litigation for nondisclosure. Many courts hold that the average homebuyer is not familiar with construction system defects, or even how to recognize them should they exist. These expressions, when in doubt, point it out certainly holds true for sellers and agents and buyer beware for purchasers. Good practice for seIlers to err on the side of over-disclosure. Disclosure alone relieves a seller from burden of repairs. An AS-IS sale does not exempt the seller from the need to comply with laws such as requiring functional smoke and carbon monoxide detectors. Many buyers, upon knowing all the facts, do not back away from their decision to purchase. It is the fear of the unknown, followed by eventual discovery, which sends people to court, dragging the seller, real estate sales people and the shoddy home inspector with them. Peace of mind is very relevant for the sale and transfer of residential property. It is the prime reason for hiring an independent, qualified home inspector in the sales process. Full disclosure is best for the buyer and is the best preventive defense for the seller and sales people. 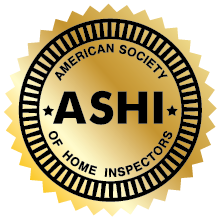 Until this is a common practice, and in its absence, the services of an independent, experienced home inspector is critical.